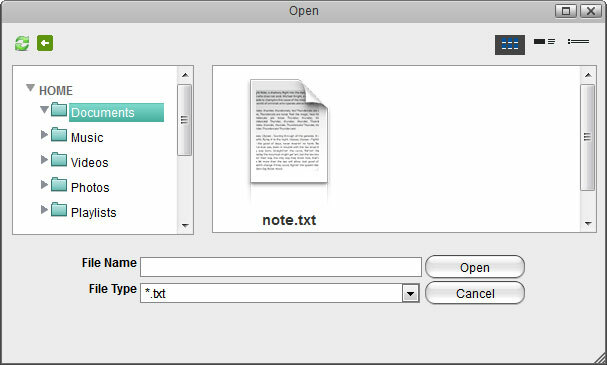 This simple text editor can be used to open and view documents (e.g. 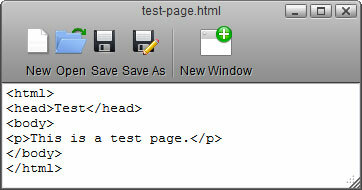 TXT, HTML, XML) or write some quick notes and save them as text files (*.txt) on your network drive. New Start again with a blank text file. Make sure to save your current work first, so you don't lose any data, before you press this button! 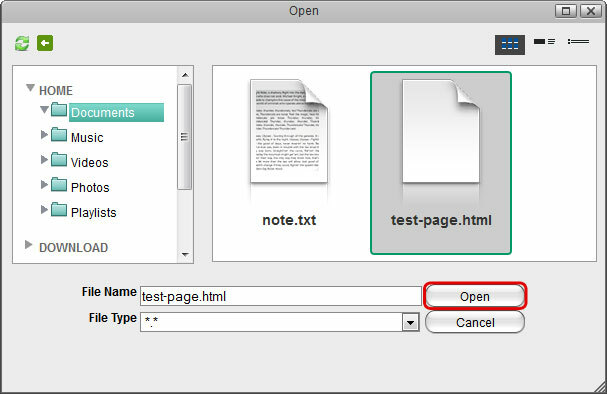 Open Locate and open an existing text file. 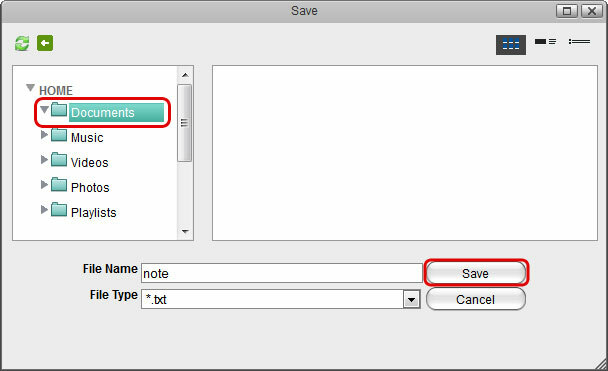 Save Save the current text file. 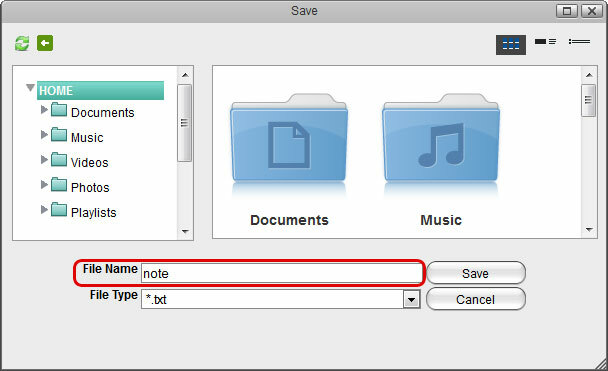 Save As Save a copy of the current text file in a different folder or with a different name. New Window Create a blank text file in a new window. Select the folder where you would like to save the file and click Save. Locate and select the file you would like to open. If the file extension of the file you are looking for does not end in *.txt, change the File Type to *. * in order to display all file formats. Select the file and click Open to view and edit the file. You can now view and edit the file. 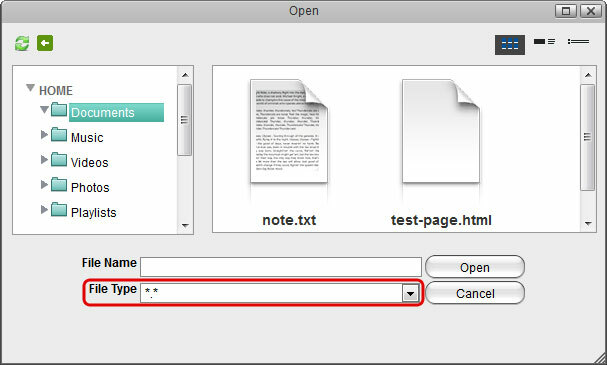 To open a *.txt file you can also double-click on the file in the file explorer and it will automatically open the file in the text editor.